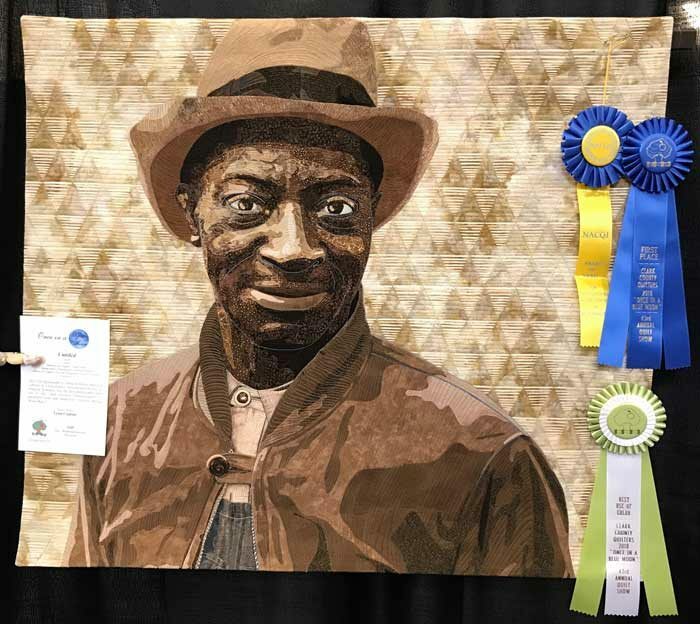 On Wednesday fellow judge Carol Brooks and I gave the NACQJ (National Association of Certified Quilt Judges) Award of Merit to Lynn Czaban for her quilt “Untitled” exhibited at the Clark County Quilters Guild Show. Lynn is the only two-time recipient of our award. 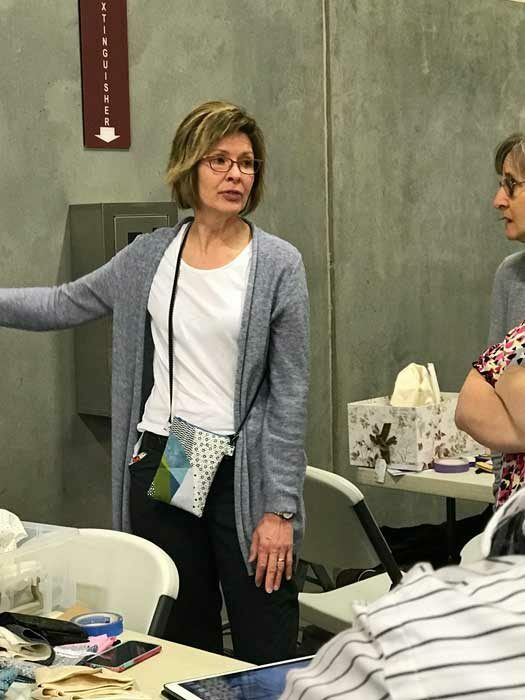 She happened to be teaching the class on her portrait technique at the show. How serendipitous! I was able to present the award to her in front of her class, much to her surprise and delight. “Untitled” by Lynn Czaban based on a vintage photo. Lynn teaching–moments before I gave her the award. 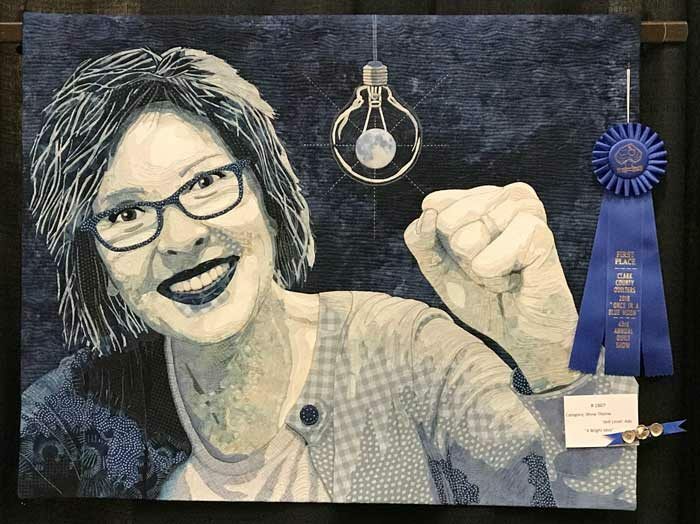 Lynn also entered “A Bright Idea” into the show theme category “Once in a Blue Moon”. Her self portrait was a first place winner putting it in contention for best of show along with “Untitled” proving the extraordinary skill Lynn has developed in portraiture. Can’t wait to see what she does next!